When the New York Times ran this headline last fall, "To improve a memory, consider chocolate," it quickly became one of the newspaper’s "most emailed" stories. Other news outlets rushed to match the story. My assignment desk perked up and sent me the clipping with the question "interesting?" And it was interesting, but not for the reasons most news editors hope. It was interesting because the study was not about chocolate at all. That’s because chocolate contains almost none of the compound that the researchers are studying. It’s an irony that lies at the heart of a major international scientific effort to find something healthy in the cocoa bean, an effort largely sponsored by the chocolate industry. In this case, the study authors were adamant that no one should start eating more chocolate based on their findings. "Unfortunately this is not news that you can use," said lead researcher Dr. Scott Small, director of the Alzheimer's Disease Research Center at Columbia University in New York. "As a physician, I’m a little worried about the headlines that say 'eat chocolate.'" But those headlines are as irresistible as the chocolate itself, as science transforms chocolate from mere candy into superfood. Chocolate headlines are as irresistible as the treat itself. 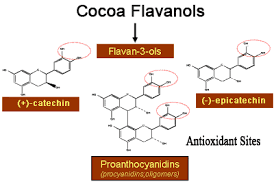 Scientists have zeroed in on a family of fragile molecules known as cocoa flavanols. Research suggests they can relax blood vessels, improve blood flow and, as Small found in his study, even increase activity in a part of the brain involved with age related memory loss. 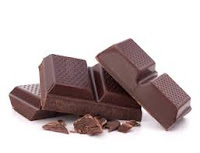 But those flavanols largely disappear once the cocoa bean is heated, fermented and processed into chocolate. In other words, making chocolate destroys the very ingredient that is supposed to make it healthy. That’s why Small’s memory study used a highly concentrated powder prepared exclusively for research by Mars Inc., the chocolate company, which also partially funded the study. "It is not a commercially available product," said Catherine Kwik-Uribe, the scientific director at Mars Inc. "It’s actually very difficult for an average consumer today to get the flavanol levels that we see are needed in order to produce some of the effects." This is true even for dark chocolate. A high percentage of cocoa does not necessarily mean high levels of flavanols. And there are no international standards for flavanol content. The other problem is the taste. Flavanols are bitter, and researchers have done studies to test the levels of flavanols that research subjects can choke down. The "rejection threshold" for the high flavanol chocolate was more than 80 per cent — a finding that does not bode well for the dream of healthy chocolate. "Chocolate is a wonderful food, but it is not going to be an appropriate form for a product that you want to have people consume every single day," said Kwik-Uribe. 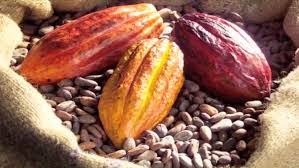 It means if health-enhancing cocoa flavanols do end up on the shelf, they will likely appear in some other form, such a powder, pill or food supplement. And the chocolate companies are getting ready, by patenting not just the processes, but also the health claims. Mars Inc. has staked a claim to the use of cocoa flavanols for a wide variety of ailments, ranging from gum disease to cancer. But there are lots of foods that contain potentially healthy flavanols, along with other bioactive compounds in complex combinations. So the question is: Would academic scientists in publicly funded institutions be so interested in the cocoa bean if the chocolate industry wasn’t supporting so much of the research? "We have to recognize the impact of industry involvement," said University of Alberta law Prof. Tim Caulfield, who studies the effect of industry funding on scientific research. "There’s lots of evidence that demonstrates that industry involvement can skew the direction of research, it can skew the research questions that are asked, and researchers follow the money," he said. One effect of industry funding is the focus on a single nutrient. It’s an approach that Christy Tangney at the Rush University Medical Centre in Chicago has argued against. She has researched polyphenols, the broad class of plant-based compounds that includes cocoa flavanols. "The problem is we still typically approach this research with a reductionist view, isolating the compound so we can manipulate it," she said. "How do we know that it isn’t a combination of different components of different foods eaten at the same time?" Tangney said by zeroing in on single compounds, scientist might be missing the whole effect. Still, the scientific march is on to find the fountain of health inside the cocoa bean. Mars Inc. is about to join forces with Brigham and Women’s Hospital in Boston and the U.S. National Institutes of Health in a public-private partnership to discover whether cocoa flavanols reduce the risk of heart attack, stroke and death. In a randomized controlled clinical trial, 18,000 men and women will take a high-flavanol cocoa capsule, supplied by Mars Inc., for five years. "It’s the first dietary intervention trial of this size with cocoa flavanols," said Kwik-Uribe. "So it really presents a very exciting opportunity both for Mars and for the public."